The institute started its classes in June 1989 and since then it has been inducting a batch of 40 students every year, that number has now increased to 46. At present four batches are being trained and so far 17 batches have passed out from this alma mater of industrial electronic engineers and have earned an excellent repute for the institute. All the IIEE graduates are either currently studying for even higher degrees or gainfully employed in various industrial and commercial sectors throughout the country and abroad. We are also proud that this is the only institute in the country and the only second in the whole South Asia, which awards B.E. 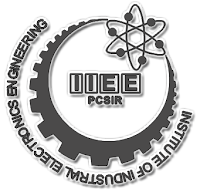 Degree in Industrial Electronics Engineering, the only other such institute in South Asia being working in Bangalore, India. 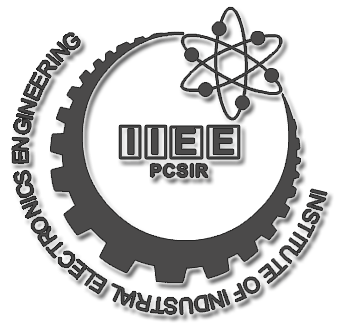 Institute of Industrial Electronic Engineering (IIEE) is affiliated with the NED University of Engineering and Technology (NEDUET), Karachi. This affiliation was granted by NED University in 1993. NED University of Engineering and Technology is a Chartered Engineering University of Pakistan recognized by University Grants Commission (UGC) and Pakistan Engineering Council. Admission to the Institute is offered only in the month of November every year and the classes of first semester B.E. (Industrial Electronic) start from first week of January in the new year. Candidates who fulfill the eligibility conditions shall have to qualify entrance test of the Institute. Applications for admission in the first year Engineering Degree Course under Semester System are invited on prescribed forms. The admission form along with prospectus may be obtained from the office of I.I.E.E., Karachi during 0800 to 1530 hours on any working day (*Friday 0800 to 1230 hours) from 1st October 2010 up to 31st October 2010 against the Pay-Order or Bank Draft in the name of Institute of Industrial Electronic Engineering Karachi for Rs. 1000/- (NON-REFUNDABLE). Candidates applying for self-finance and/or PCSIR seats are to pay an additional processing fee of Rs. 500/- (for each category). For receiving the Application Form (with prospectus) by MAIL, send a Postal Order or Pay Order for Rs.1000/- and self-addressed envelope that should be stamped with tickets of Rs. 50/-. 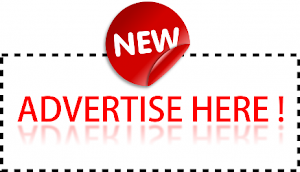 Admission Inquiry Before sending the inquiry form, make sre you have gone through all the above pages thoroughly.